But this is no garbage dump. It's a farm. Fast food giant McDonald's is studying using insects for chicken feed to reduce reliance on soy protein. "This pioneering work is currently at the proof-of-concept stage," Nicola Robinson, McDonald's Corp sustainable supply chain manager, told Reuters. "We are encouraged by initial results and are committed to continuing to support further research." Benoit Anquetil - strategy and technology lead for Cargill's animal nutrition business - called developing new sources of protein a "long-term opportunity." "Sustainable protein is a key challenge, which is why Cargill is evaluating the viability of insects as part of the solution to nourish the world," Anquetil said. The bug business still has a few hurdles ahead - like the yuck factor, even when the insects are fed to animals. Regulators will also need to be convinced that ground-up bugs won't introduce new toxins into the food supply. "They are considered filth in the food system," said Virginia Emery, CEO of Beta Hatch, which grows mealworms above an auto body shop near Seattle-Tacoma Airport. Cargill conducted an insect-based feed trial on poultry in 2015, but the company's efforts with insects have since focused on bolstering its growing aquaculture business, where demand for alternative proteins is most acute. Beta Hatch is chasing the same market. The small company's mealworms - larvae of the mealworm beetle - will likely end up as fish food as Emery expands her business with the help of an investment from Wilbur Ellis, whose fish-farming customers have pressed for sustainable alternatives to fishmeal. "Fishmeal has a limited supply, and aquaculture is continuing to grow," said Andrew Loder, president of Wilbur Ellis' feed division. "We see insect meal as one piece of a solution." "You can feed an animal all grain, and it will grow, but it may not grow as quickly and efficiently and may be prone to disease," said Andrew Vickerson, chief technology officer at Enterra. Mealworms can be grown with little water and studies have shown they can "rescue" nutrients by consuming grains not fit for livestock production without passing on harmful toxins. 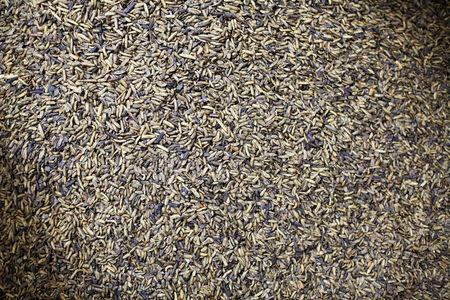 Black soldier fly larvae also contain high levels of calcium and iron and can feed on a broad array of food waste. Crickets - a favorite for human consumption in some countries - are by contrast picky eaters. They're also noisy, and can damage nearby crops if they escape. Protix opened its first commercial black soldier fly larvae plant in the Netherlands in 2017 and will break ground on a second facility there later this year, aided by a $50 million investment from Buhler. The Dutch company, working with fish farmers, has also launched a brand of "friendly salmon," fed with rations containing insect meal instead of fishmeal. "If we are able to be successful in Europe, then this will be a global solution," said Protix CEO Kees Aarts. "Since fish eat insects in the wild naturally, it is easier for consumers to wrap their heads around insects as part of the feed," Cargill's Anquetil said. "If there was a big change in how animals are being fed, I'd want to see some extra scrutiny of whether the animals were accumulating any kinds of toxins from the insects," he said. "If we're replacing 5 or 10 percent of the proteins that are normally in those feeds with insect protein," Allen said, "That's a lot of resources saved."